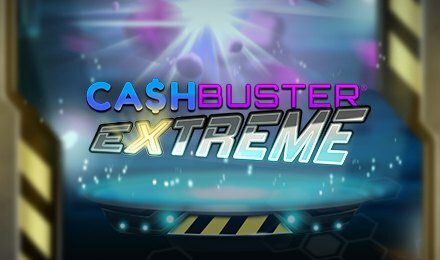 Cash Buster Extreme is the sequel to the very popular Cash Buster and Super Cash Buster. Instant Win Gaming has come up with yet, another version which consists of a number of new features but on the same setting! Your aim, as per usual would be to match block colours and blast the clusters to reveal instant cash prizes. Before you start bursting the blocks on Cash Buster Extreme, you will need to choose your stake values. When you’re ready, hit the play button and enjoy! Matching five or more blocks horizontally or vertically of the same colour will result in a win. This then creates a block that will explode and award your wins. Coin Values: Set your coin values using the plus or minus buttons. On revealing three or more Free Go block on the grid, you get to pick from one of the six orbs to reveal how many free goes you win! Finding six gem clusters and unlock two bonus games. Six coloured crystals are given, each of which carry a prize. Roll the dice and see which colour it lands on and the chosen one is either destroyed or leaves a “Collect” symbol. Keep on rolling the dice and win prizes until everything is shown. Click on the Spin button to start the reels. Win all prizes in the whole column until the “Collect” button shows up.